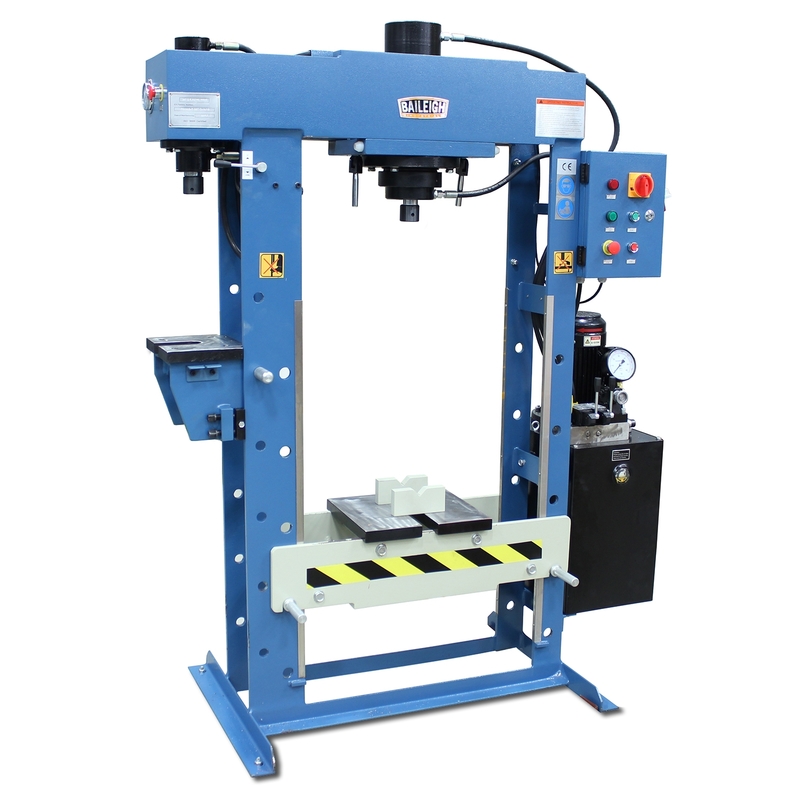 With its additional work station, sturdy plate steel construction and piston-style hydraulic pump, this hydraulic H-frame press offers one of the best values on the market. 30-ton capacity on main press. 15-ton capacity on side press. 5.74” diameter cylinder with 9.8” stroke on main press. 2.76” diameter cylinder with 7.75” stroke on side press . 3 hp motor runs on 200-volt single-phase power. Main cylinder can move left and right within the frame to deliver pressure at the point where you need it for off-center projects. Comes standard with dual pressure gauges. Fully-welded steel frame enables you to use the machine’s force at full capacity without worrying about flexing. Baileigh covers this hydraulic shop press with a 1-year parts warranty as well as lifetime technical support by phone. Min. 8.25" - Max. 40.25" (Main), Min. 7.25" - Max. 43.25"
63" x 44" x 73"